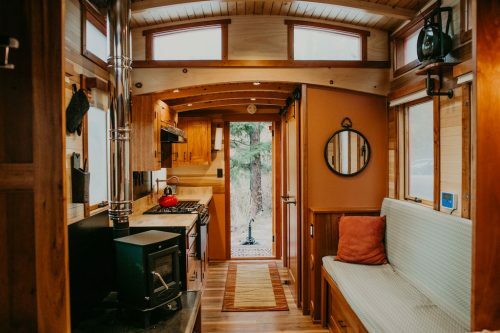 A 160 square feet tiny house on wheels built from a modified version of The Tumbleweed Walden in Oregon. More info. here. Love this. 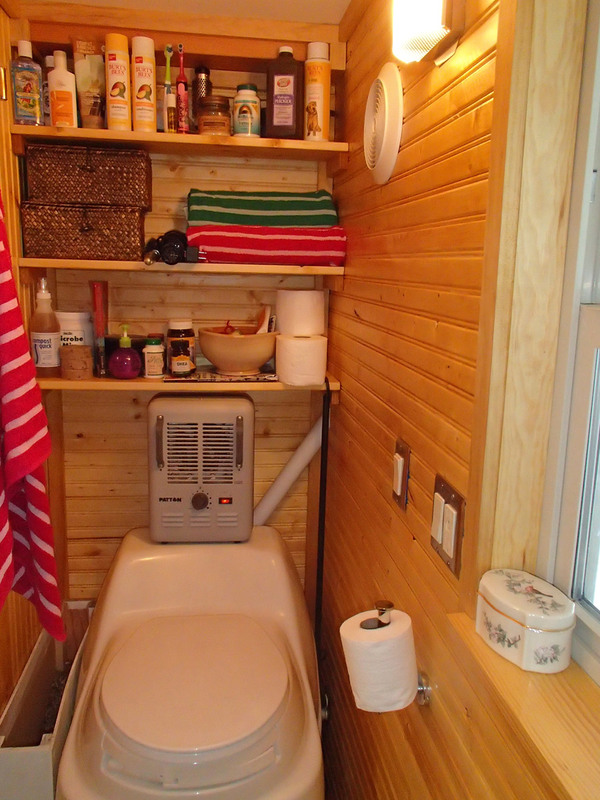 This looks like the home owner has some “stuff”. this is real living to me. 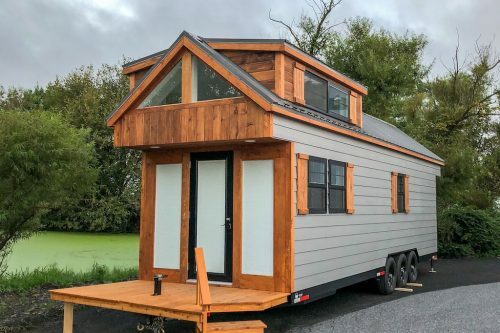 tiny house attitude with a realistic spin. I am attached to some of my “stuff”, so this looks great to me. the design and level of comfort is fabulous. Thanks for sharing this. Made my morning. This house is beautiful! I love everything about it! This is great! You want to know what I love about this one? 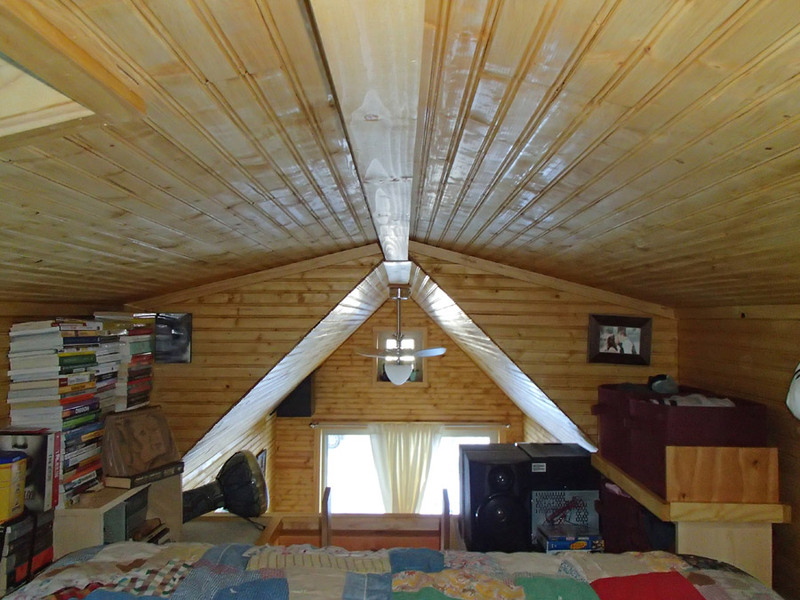 It is the fact that it shows what real life looks like in a tiny house. 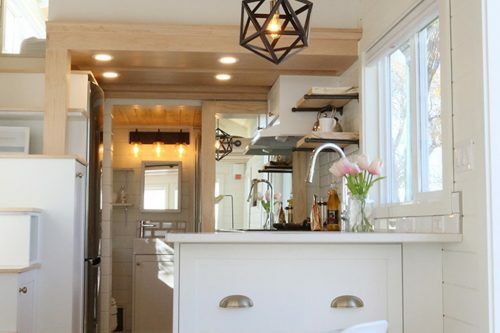 I love the clean modern look with absolutely no clutter, but I read, craft & cook. My own small space will never achieve that look perfectly. The owners of this home obviously made room for their interests in this home with the musical instruments, cooking necessities, books, and toiletries. 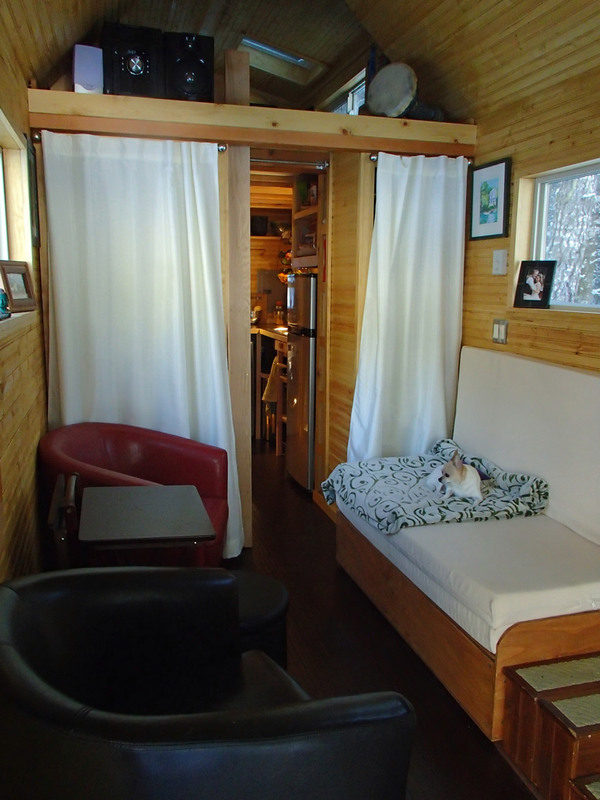 Thanks for sharing an honest portrait of tiny house living. I agree with Jen. I see so many perfect empty houses, but I like seeing how people actually use the space. Wonderful! And the slider is so much more practical than a wood door. 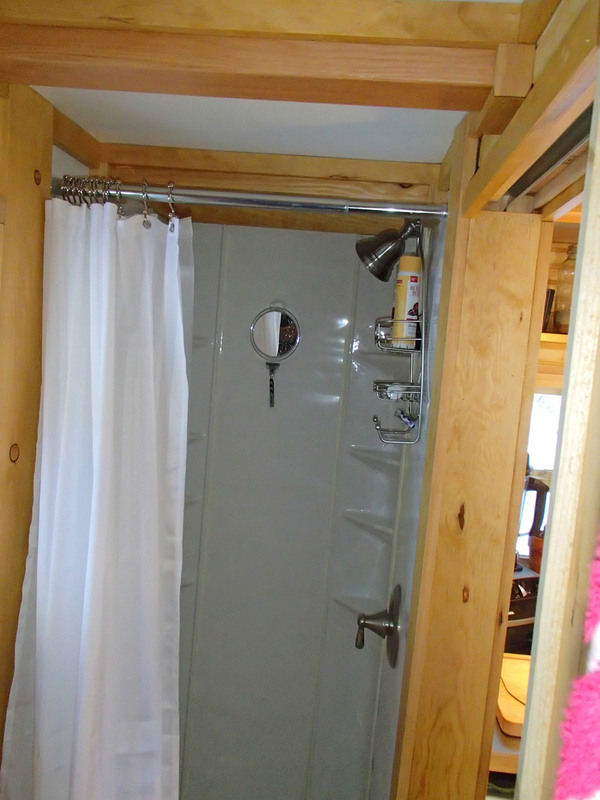 I agree with the ladies above….a great example of actually living in a tiny home. 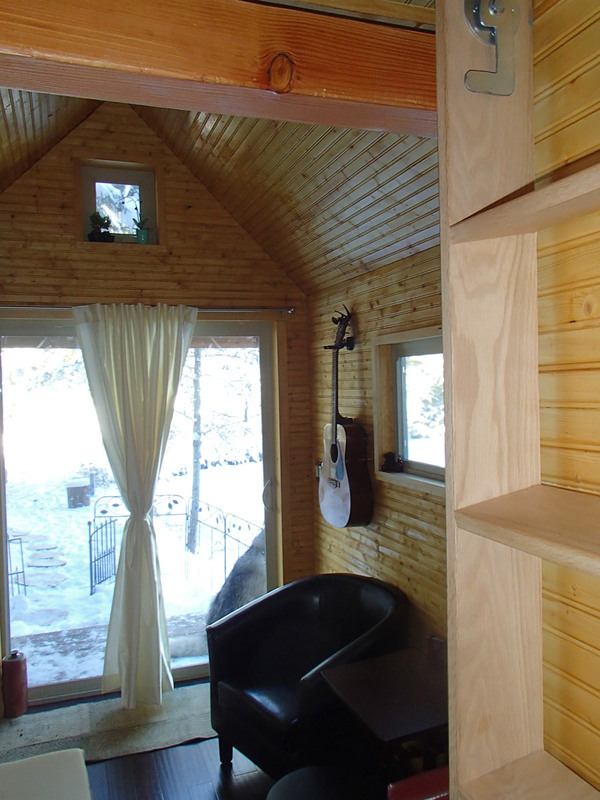 It’s a wonderful little home and you’ve been very clever about using the space available. I’m guessing that the white curtains in the ‘living room’ have shelves behind them for storage of various items?? I love the idea of the curtains to keep things looking neat and not too cluttered. This is a bit small for me, personally, but I commend you for creating a home that works for you and your interests that still looks great. I think the curtain is where the shower is. I imagine that doorway goes to the bathroom. And I don’t see any burners in the kitchen. Portable maybe? Kept on a shelf when not in use? Big old washer/dryer combo. Somebody likes clean clothes! The bathroom is off the side of the kitchen at the back, so the curtains in the living room must be hiding closets/shelves. 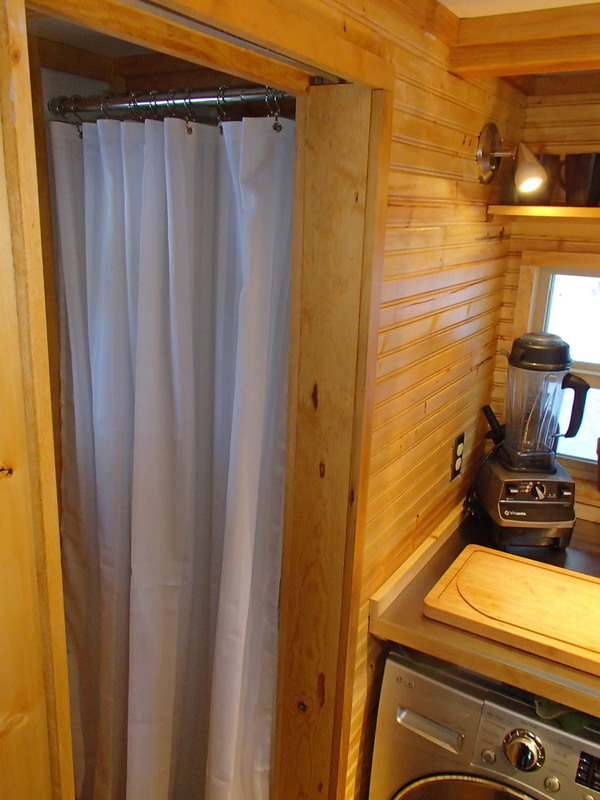 Washer/dryer is a bit of space hog, I agree, but I imagine it’s nicer than having damp clothes hanging all over the place, especially in a space so small. I’d be tempted to replace it with an oven though – I like to bake! Looks good. 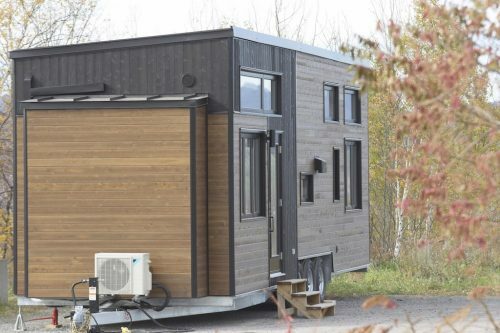 Is this tiny house powered by solar panels? If so, how many kw and batteries?